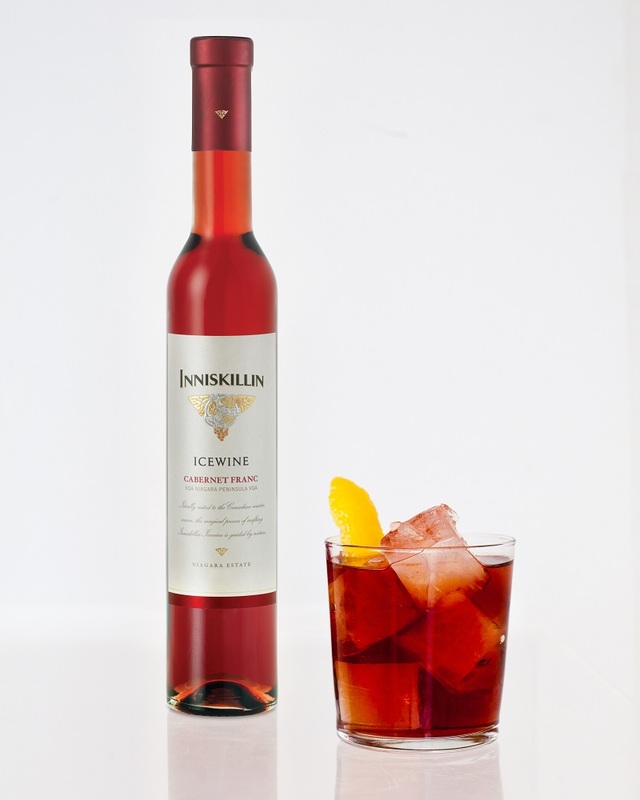 Inniskillin’s Icewine is a fruity reinvention of the classic cocktail and a must-try this holiday season. The season of cozy winter nights in, snacking on holiday treats is almost upon us. In addition to beautiful snow falls, Canadian winters also bring world-class icewine that’s produced when the temperature drops. Inniskillin’s Cabernet Franc Icewine is a romantically-hued red icewine with balanced hints of raspberry, rhubarb and strawberry, making it completely different from white Icewines. Pairing it with a rye whiskey adds an oaky depth to the sweet desert-wine, creating an icy twist on the classic Manhattan. It’s an excellent match for any chocolate-based desserts, or just to sip on fireside. Combine all ingredients in a mixing glass or shaker.